Combine water and sugar in a pan, bring to boil, simmer for 5 minutes and then take off heat. Add in coco powder, vanilla and dark chocolate. Cover surface in clingfilm, and chill to room temperature overnight. Mix in dairy free spread. In a separate bowl, whisk 10g of sugar and the egg yolks until pale. Pour in vegetable oil while whisking. Add the water while whisking. Sift in the flour and mix – this mixture will be runny. Fold in the egg whites into the runny yolk mixture. Pre heat oven to 160 C Fan. 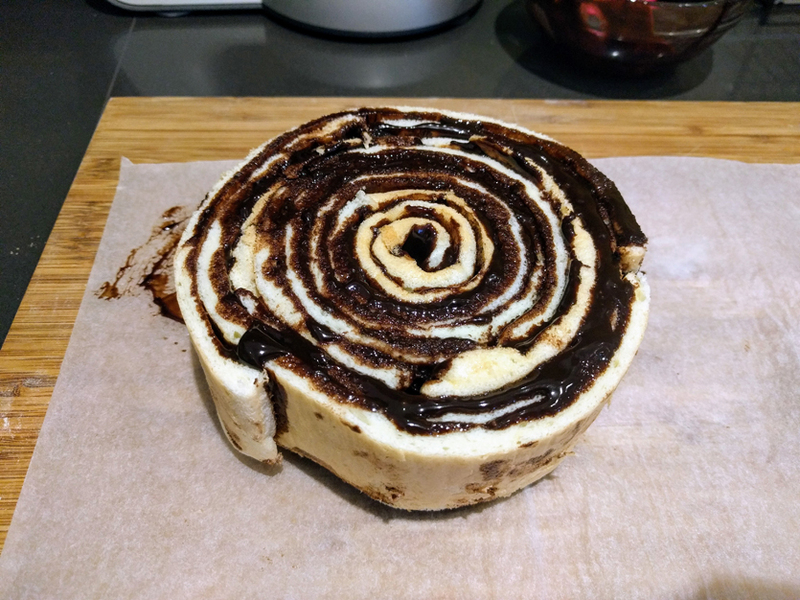 Line an 18cm round baking tin. Cream the dairy free spread with a little bit of sugar. Beat in the egg yolks and vanilla extract. 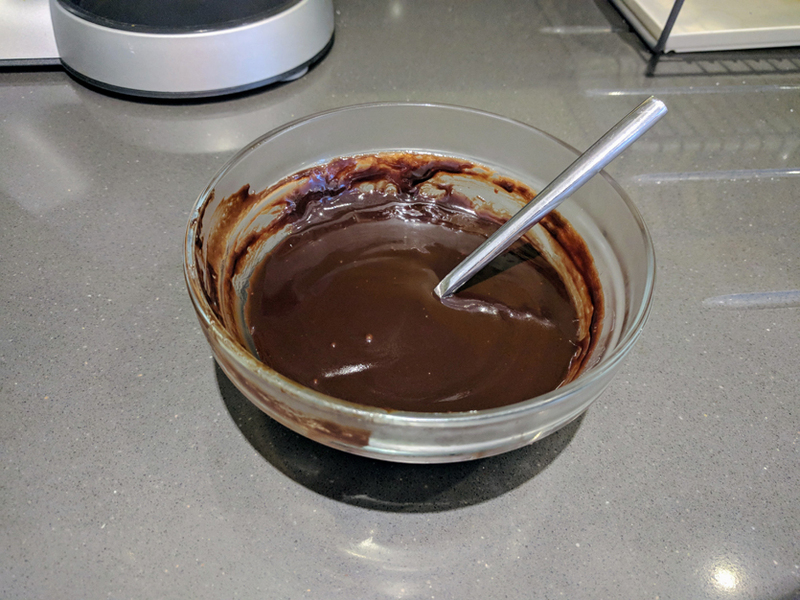 Pour in the dark chocolate and mix. 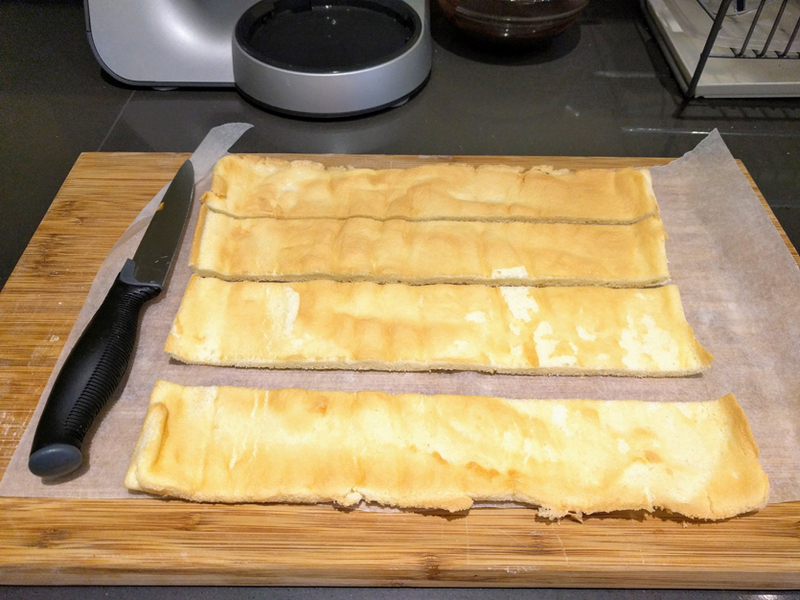 Fold in the egg whites and flour. 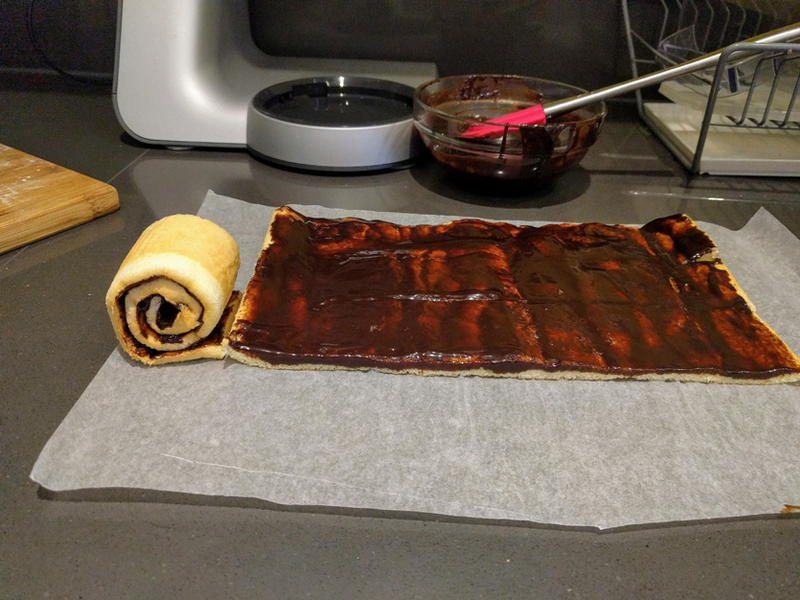 Assemble the rolling sponge while the chocolate sponge cooks. Once cooled slice the sponge into 2 layers. Dissolve the sugar in the water in a saucepan, do not let to boil. Add in the vanilla. Take off heat and cool to about 50 Degrees C. Stir the bloomed gelatin into the syrup making sure it dissolves. Cool to room temperature. Whisk the Dairy Free Spread in a mixer and then pour in the syrup mixture gradually while still whisking. Use 1 chocolate sponge layer as a base, spread some mock cream over it. Place the cooled coil cake over the chocolate layer base. 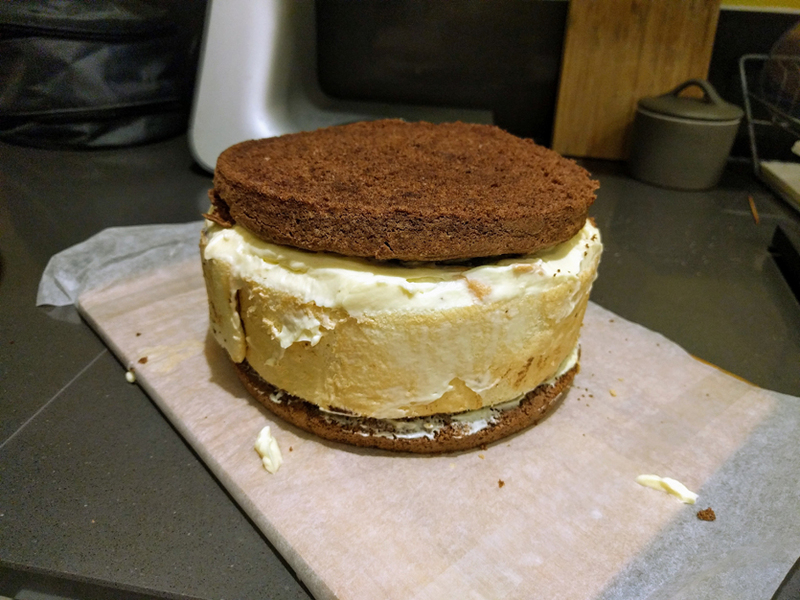 Cover with more mock cream, and sandwich the second chocolate sponge layer on the top. To decorate, cover the rest of the cake with the mock cream. Sprinkle the sides with dark chocolate shavings. 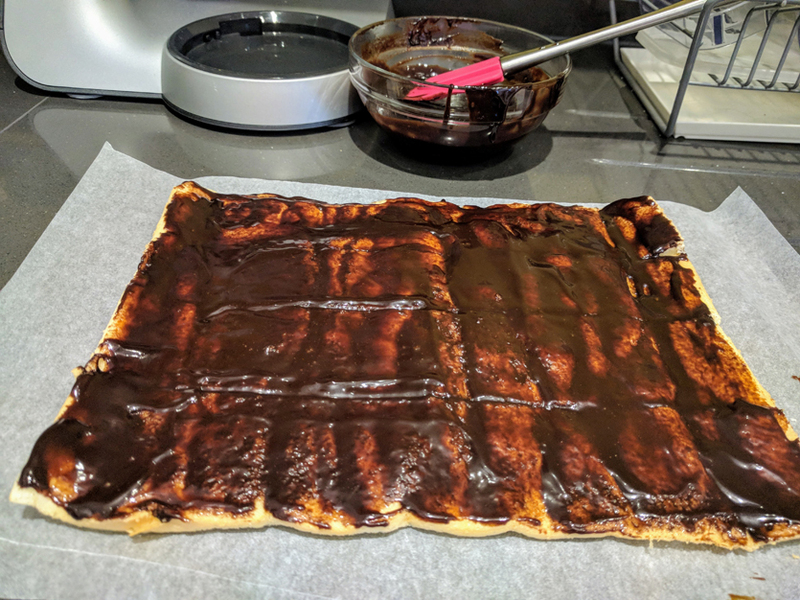 Melt some dark chocolate and draw a music stave, a treble clef, and a few notes. If you don’t want to pipe straight onto the cake look at this post on piping text onto a cake. Use the leftover mock cream to pipe a shell border. 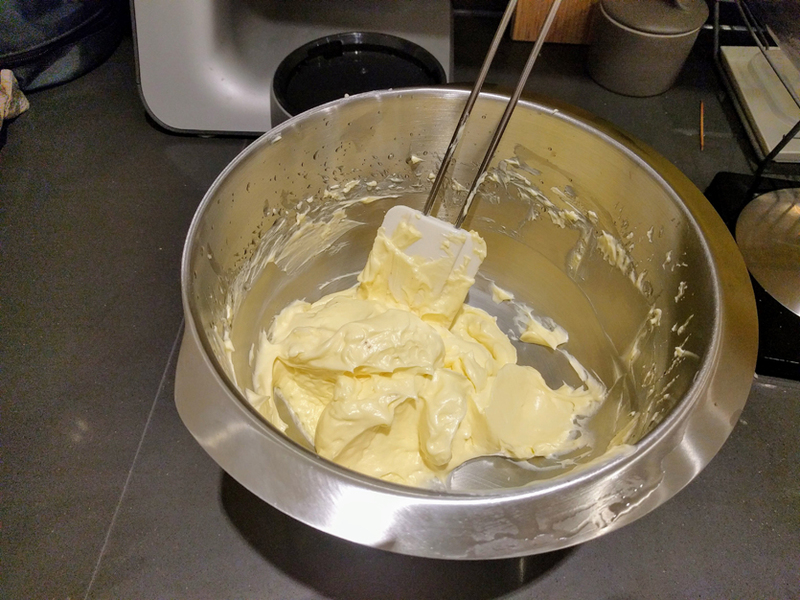 Split the mock cream into 3 parts. Combine 2 of the 3 parts together and set aside, this will be your main colour of cream, if you choose to colour this, pick a very light pastel shade, or just leave this white. Colour the remaining 3rd into a bright and vibrant colour. 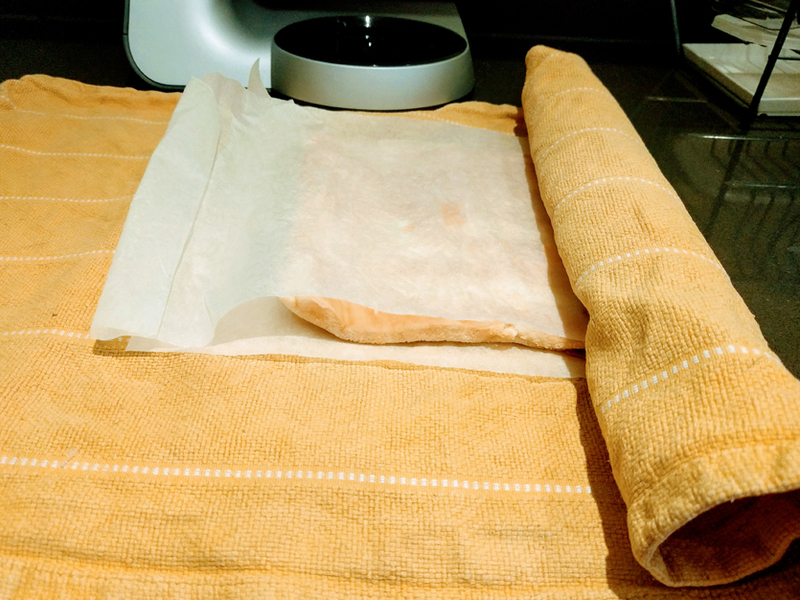 Coat the cake in a “crumb coat” using a small amount of your light cream. Put into the fridge to set. Create an ombre effect up the sides of the cake by spooning on the darker cream onto the bottom half of the cake, and then the lighter cream on the top half of the cake. 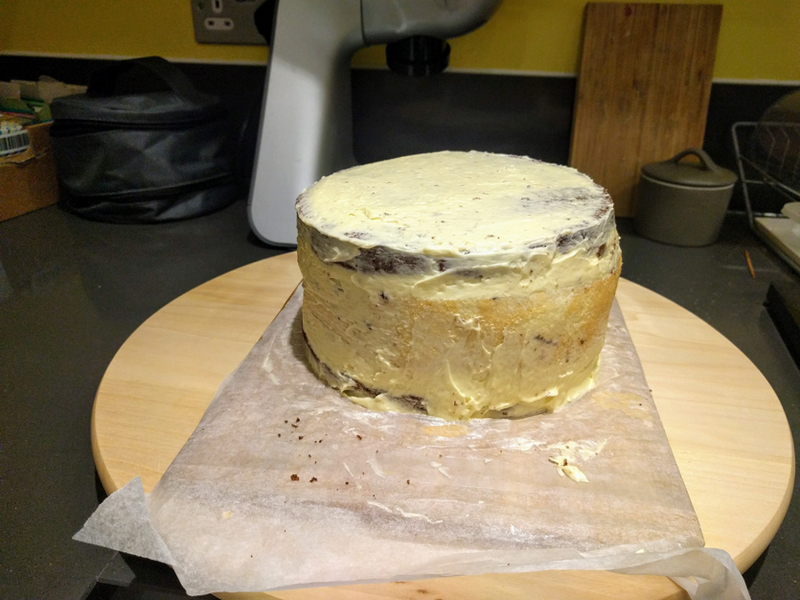 Top of the cake with the remaining light cream. Smooth the cream on the top of the cake. Then begin to smooth the sides using a horizontal motion with a scraper or spatula, a turntable helps with this greatly. 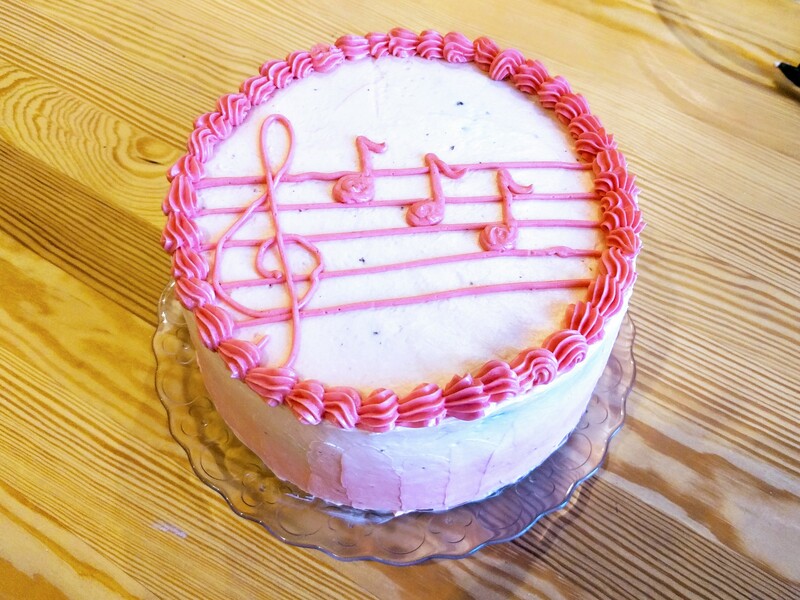 Draw a music stave, a treble clef, and a few notes with the darker colour cream. If you don’t want to pipe straight onto the cake look at this post on piping text onto a cake. Use the leftover dark mock cream to pipe a shell border.